It's officially October, which means it's Meow-lloween month! 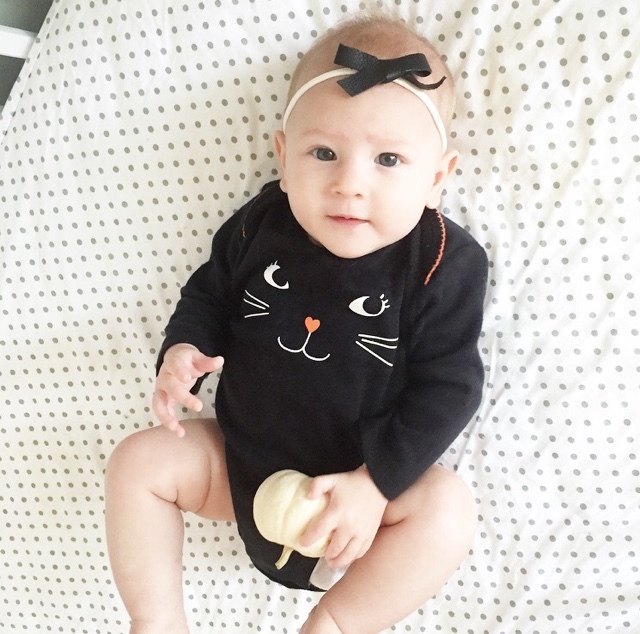 :) Halloween is not my favorite holiday, but a day that involves candy, babies in cute costumes, and lots of black cats is a win in my book. I'm going to give Ellie her Halloween gift tonight - I'm sure the anticipation is just killing her. ;) We'll watch Charlie Brown while she wears her festive pj's this weekend to help us get into the Christmas Halloween spirit. I'm sure she'll love trying to eat the pages of the books while I attempt to read them to her, as she "sits" like a little wiggle worm in my lap. 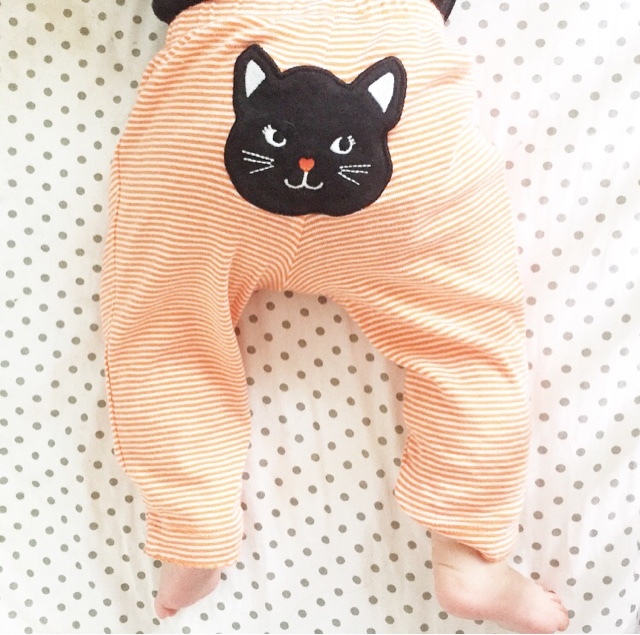 You didn't think I could pass up the festive pants with the kitty on the bum, did you? I have a feeling the next couple months are going to completely fly by. The past few definitely did - I think it's one of those things that gets enhanced when you're a mom and really just wish time would slow the eff down for a minute. Thanksgiving and CHRISTMAS will be here before we know it, and I'm excited for all of the festivities to come. I think it's going to be a lot of fun with lots of firsts for Miss Ellie. :) After the New Year, we'll be ready for summer again, but in the meantime we'll be soaking up every last bit of Fall + the holidays. Any fun plans for the first weekend of October? Hope it's fun, festive + relaxing!